Weird Brothers Coffee (321 Sunset Park Drive, Herndon) has announced via social media that co-owner Kenny Olsen died unexpectedly Thursday. Friends of the Weird Brothers have shared their condolences on social media. 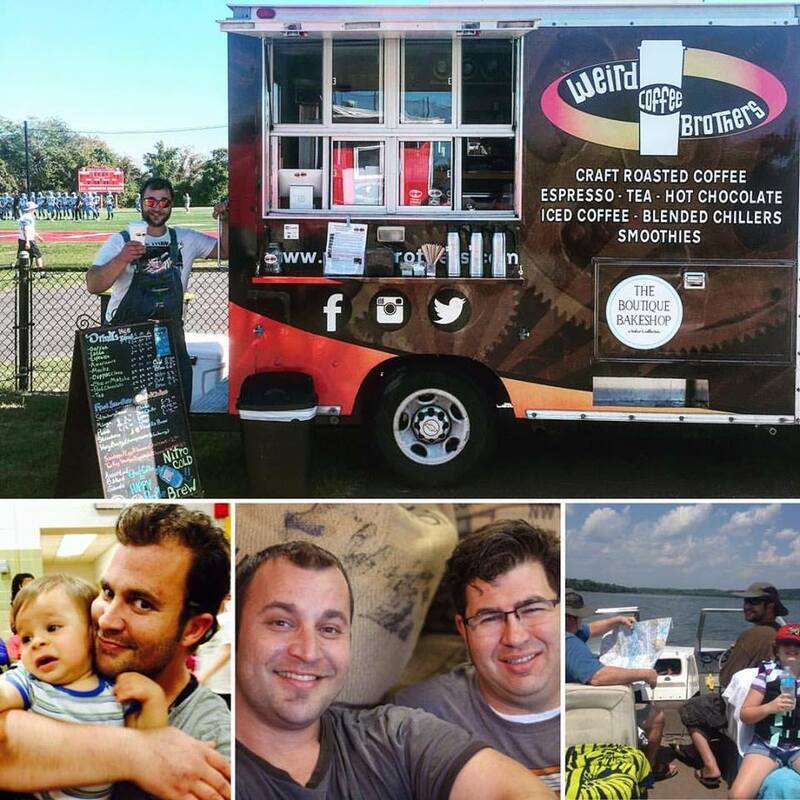 A GoFundMe page has been set up to help the business as it copes with Kenny’s death. A memorial service has been scheduled for Friday, Aug. 18 at Adams-Green Funeral Home (721 Elden St., Herndon). 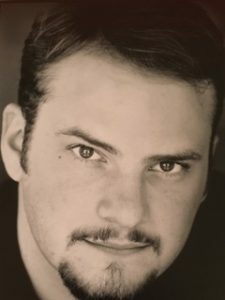 Actor Evan Helmuth, who lived in Reston until the age of 10, died July 18 in Los Angeles of complications from a stroke. Helmuth, who attended Lake Anne Elementary School before his family moved to the Midwest, pursued a film career after graduating from Interlochen (Mich.) Arts Academy and from the University of Southern California’s School of Dramatic Arts. His credits included appearances in numerous popular films and television series. Evan Hershey Helmuth passed away in Los Angeles, California on July 18, 2017 of complications from a stroke. Born in 1977, Evan lived in Reston, Virginia until age 10, when he moved with his family to Ames, Iowa. For many summers, he attended the Interlochen Arts Camp in northern Michigan, followed by three years of high school at the year-round Interlochen Arts Academy. He graduated from the Academy in 1995 as a theater major, receiving the school’s highest award for an individual arts graduate. He further pursued his dramatic studies at the University of Southern California School of Dramatic Arts, where he received numerous awards and graduated in 1999 with the prestigious Jack Nicholson Award for outstanding actor. He lived in Los Angeles since that time. Helmuth’s film credits include the Farrelly Brothers’ Fever Pitch, where he appeared opposite Jimmy Fallon and Drew Barrymore as Fallon’s Red Sox-loving sidekick Troy; William Brent Bell’s 2012 horror movie The Devil Inside as Father David; and Joshua Michael Stern’s 2013 Steve Jobs biopic Jobs starring Ashton Kutcher. His TV credits spanned the likes of ABC’s Alias, CBS’ NCIS, Fox’s Bones, TNT’s Rizzoli & Isles and more recently CBS’ comedic drama Battle Creek. Evan is remembered as a warm, kind, generous, and talented person by family and friends. He is survived by his sister, Erika Fairchild Helmuth Saunders of Hershey, PA; his stepmother, Paula Forrest of Ames, IA; and his beloved dog Sasha. He was preceded in death by his father John William Helmuth and his mother Kerry O’Brien Helmuth. Memorial contributions can be sent in Evan’s name to the University of Southern California School of Dramatic Arts and the Interlochen Center for the Arts, Theatre Division. Dr. John David Farrell Sr., a Reston pediatrician for more than 40 years, died Sept. 18 at age 79 after a long illness. Dr. Farrell, originally from Clarksburg, W. Va., was a 1955 graduate of Campion Jesuit High School, a Jesuit boarding school for boys in Prairie du Chien, Wis. 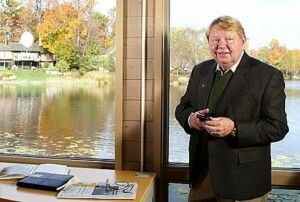 He was a 1959 graduate of the University of Notre Dame. Dr. Farrell completed his medical training in 1965 after his internship at Medical College of Virginia in Richmond, and residency at Children’s Hospital of Pittsburgh. After completing his medical training Dr. Farrell served in the U.S. Navy Medical Corps at the U. S. Naval Hospital, Pediatrics, Camp Lejeune, N.C. In 1968-69, he served in Vietnam pacification program as a Navy pediatric physician advisor II corps, Milphap Team N-4 in Nha Trang and Saigon treating plaque, malaria and tuberculosis. After being discharged in 1969, he continued to serve in the U. S. Navy Reserves receiving an honorable discharge as Lieutenant Commander April 1975. He received the National Defense Service Medal, Vietnam Service Medal and Vietnam Campaign Medal. After his military service, Dr. Farrell moved to Reston in 1971, establishing Farrell Pediatrics in Hunters Woods Village Center. In 1985, he moved his practice to Sunset Hills Professional Center. The practice still bears his name and has provided care to thousands of young patients in Northern Virginia. “Dr. Farrell was such a good clinician that in 1989, when my daughter was diagnosed with leukemia, he knew the diagnosis before the blood test came back,” said Reston resident John Farrell, a lawyer who often joked with the doctor because the two shared the same name. Dr. Farrell was preceded in death by his father, Dr. Marcus E. Farrell and his mother, Mae Ann (Hurray) Farrell. His first wife, Carol (Aston) Farrell, died in November 2015 in Raleigh, NC. 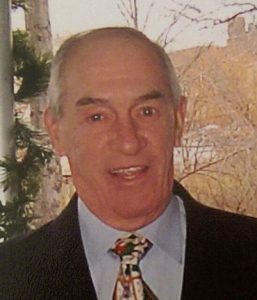 He is survived by his wife Nancy; brother Marcus E. Farrell Jr. (wife Ellen); son John David Farrell Jr. (wife Kerry and grandchildren Victor, Patrick and David); Laura Farrell Page (husband Jeff and grandchildren, Carter, Natalie and Logan); Michael Farrell and Julene Farrell; and stepdaughter Cynthia Connell (husband Paul and grandchildren Brian and Kevin). Family will receive guests on Friday, Oct. 28 from 6-8 p.m. with a memorial service to be held Saturday, Oct. 29 (time and location pending). More information and a condolence book can be found at www.adamsgreen.com. Photo: Dr. John D. Farrell Sr./Family photo via Adams Green Funeral Home. 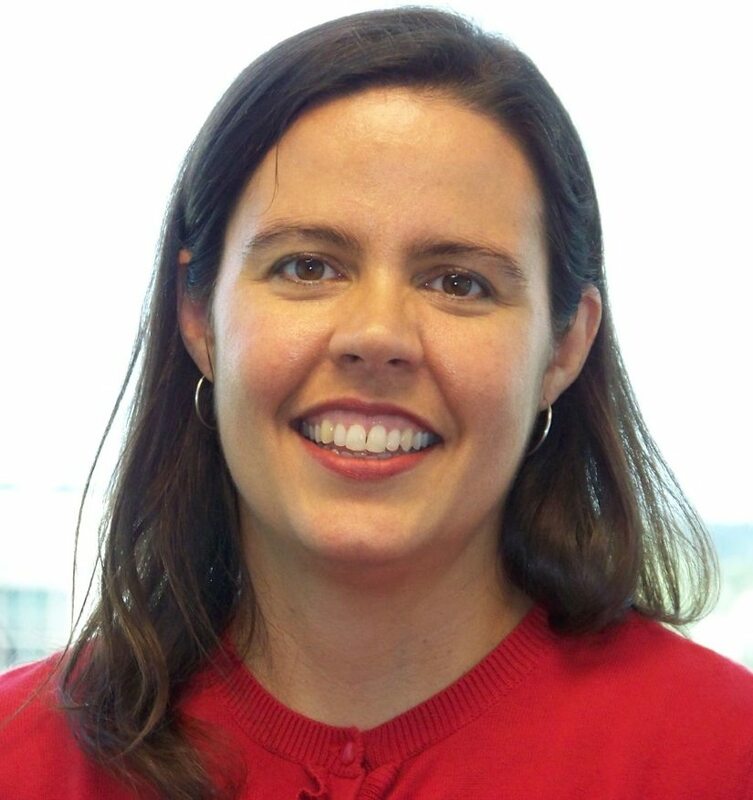 Heidi Merkel, a senior planner with the Fairfax Department of Planning and Zoning who was instrumental in organizing and implementing the Reston Master Plan Special Study and plan amendment, died of cancer July 19. She was 49. Merkel, of Arlington, is survived by her husband, Bill, and three children: Caroline, 15; Samuel, 12; and Caleb, 7; her father, Leland Tolo of West Hartford, Ct.; her brother, Paul Tolo, and sister-in-law, Jennifer Tolo, of Sammamish, Wash.; and her many beloved nieces and nephews. Merkel attended high school in West Hartford, Ct., then received her bachelor’s degree from Bryn Mawr College and studied Urban and Regional Planning at the University of North Carolina at Chapel Hill. She began her professional career as an Associate Planner for the City of Danbury. Merkel joined Fairfax County’s Department of Planning and Zoning (DPZ) in 1995. She later took five years off to raise her family, but after returning in 2007, she worked tirelessly to help move Reston into the future. The Master Plan amendments were approved by the Board of Supervisors in 2014 and ’15. “Heidi was a gem,” said land use lawyer Mark Looney, who served on the Reston Master Plan Special Study Task Force. The task force held dozens of meetings over four years, and Merkel attended most of them, even while battling her illness. She was the Staff Liaison to the Hunter Mill Area Plans Review (APR) Task Force. In 1998, she was the lead planner on the plan amendment for the Reston Sheraton area, which helped to resolve a legal dispute between the property owners and the county. She led the Dulles Corridor Land Use Study in 2001, which was the first effort to plan for rail in the corridor. She led the planning study of the Lake Anne Village Center in 2009, which set the vision and plan for future redevelopment of Reston’s first village center. Heidi and her family were long-time members of Holy Trinity Lutheran Church, where she volunteered with the youth programs and participated in the bell choirs. 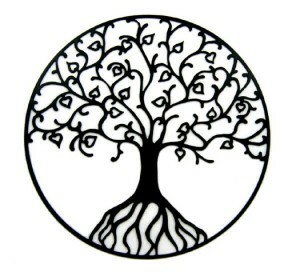 She enjoyed spending time with her children most of all, and was an active parent at both Potomac Crescent Waldorf School and the Washington Waldorf School. There will be a memorial service at Holy Trinity Lutheran Church, 3022 Woodlawn Ave., Falls Church, on Saturday, Aug. 27 at 11 am, with a lunch reception to follow in the church’s fellowship hall. 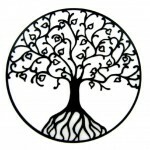 Memorial donations may be made to the Inova Life with Cancer Family Center at www.lifewithcancer.org/donate. Reston native Daryl Rodney Smith died on May 12 following a short illness. He was 50. Daryl was the son of Rodney E. Smith and Alene Smith and the older of their two children. Daryl was born on Feb. 5, 1966 and grew up in Reston. He attended Lake Anne Elementary School, Herndon Middle School and Herndon High School. At HHS, he played football and participated in band. 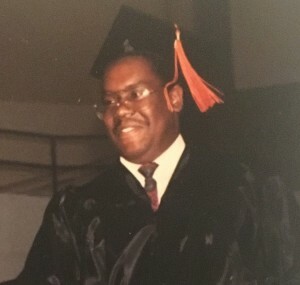 He continued his education at Tennessee State University, where he earned a Bachelor of Science in Engineering in 1991. Daryl worked for George Mason University and then at American Systems Corporation in Chantilly for 24 years. Daryl was a loving son, uncle and brother. He loved sports, “The Simpsons,” playing computer games, eating popcorn and encouraging his nephew, Thomas Mayo, in his football career. He will be greatly missed by all who knew and loved him. He is survived by his mother, Alene; sister, Leslie; nieces, Asheligh and Amber; nephews Thomas and Tory; grandnieces, Ayianna, Amariee, and Jamirah; and grandnephews Antonio and Jose. Services were previously held. Contributions may be made to the Autism Society, 4340 East West Highway, Bethesda, Md., 20814. 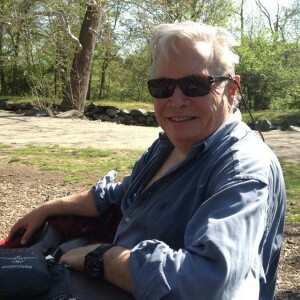 Manny Hershkowitz, a longtime Reston resident who was known for his active pursuits as a retiree, died last month at Ashby Ponds in Ashburn. He was 99. 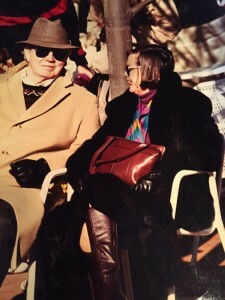 Manny and his wife, Ruth, lived in Reston for more than 30 years, relocating from New York in 1974 to be near grown children. At age 82, Manny became the oldest ball boy to work the U.S. Open tennis tournament in New York. That earned him a spot in the Guinness Book of World Records. He competed several times in the Virginia Senior Olympics and the National Senior Olympics and was an avid softball and bridge player. His needlepoint works were also displayed at Reston Community Center in recent years. Manny retired twice — from the fur industry in New York and later as a furniture salesman at Bloomingdales at Tysons Corner. 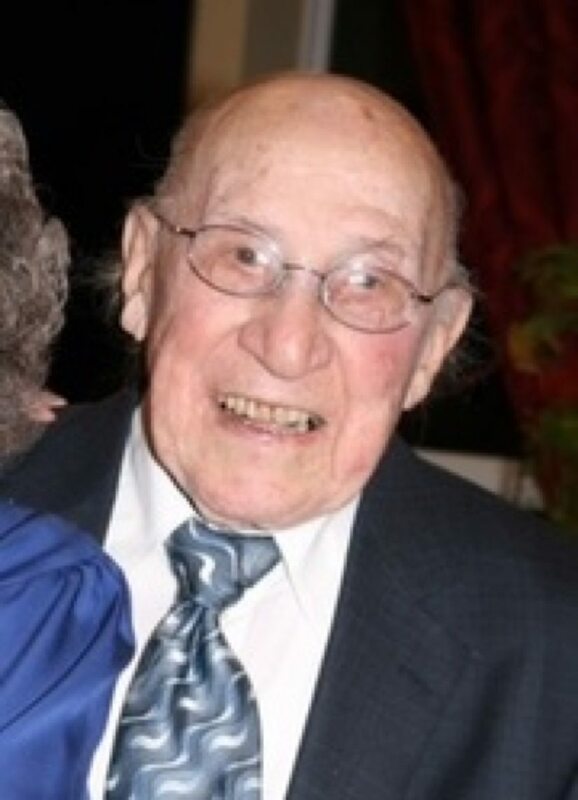 He was a World War II veteran and was married to Ruth Hershkowitz for 73 years. They had three children, five grandchildren and four great grandchildren. Manny is survived by his wife Ruth, children, Stephen (Louise), Jared (Fran) and Meryl (Peter); grandchildren, Rana (Mark), Jo (Steve), Arianna, Brittany and Steven; great grandchildren, James, Sean, Alan and Jason. Donations may be made in his memory to the Ashby Pond Scholarship Fund or the Northern Virginia Hebrew Congregation Religious School. 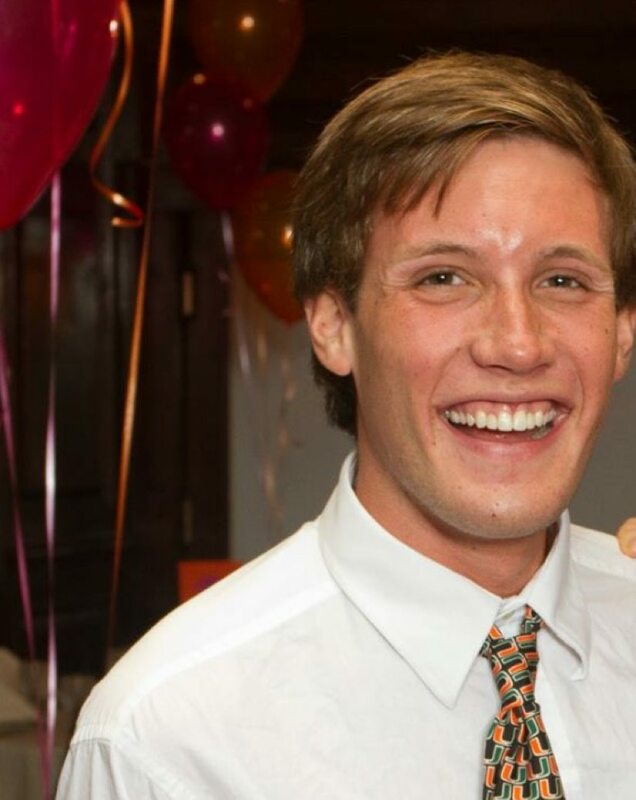 Adam Carlton Levine, 21, of Reston, died early Saturday in Miami following complications from a seizure, his family said. 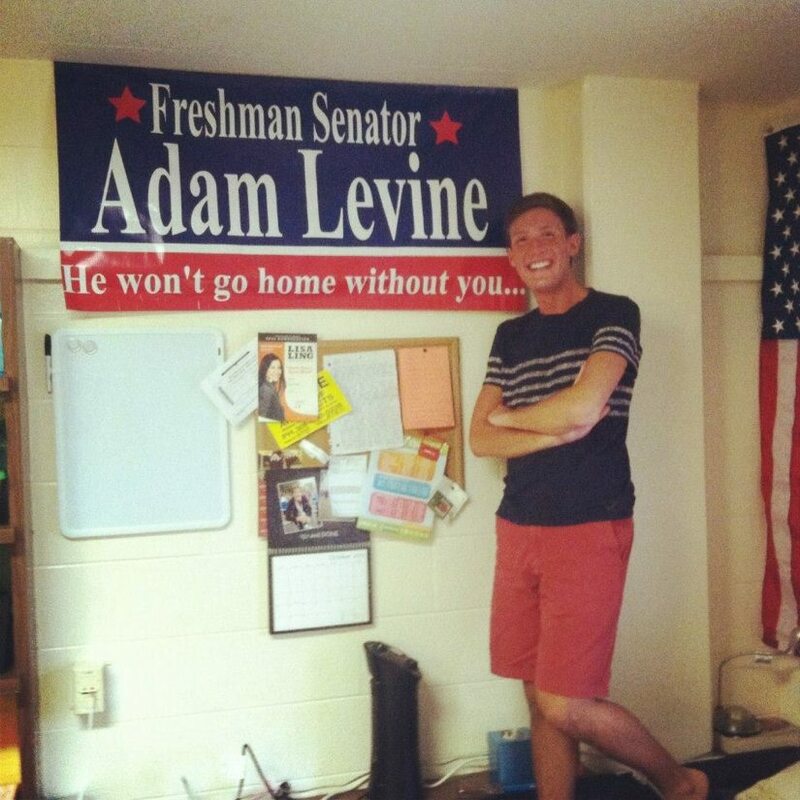 Levine was a 2013 graduate of Herndon High School who was a junior Political Science major at the University of Miami. At Miami, he was a member of Alpha Epsilon Pi fraternity and was active in undergraduate student government. Levine’s larger-than-life personality and witty sense of humor made him the life of the party, whether it was a gathering of two or a stadium full of fellow students. Levine spent a semester abroad in Sydney, Australia, last year and had plans to enroll in dental school after graduation. He had a passion for leadership and helping others, working when he was a teen as a teacher at Northern Virginia Hebrew Congregation’s (NVHC) religious school and as a counselor at its summer camp for preschoolers. A memorial service will be held at 10 a.m. on Tuesday, March 22 at NVHC, 1441 Wiehle Ave. in Reston. In lieu of flowers, the family suggests memorial donations to the Camp Harlam Memorial Fund, c/o NVHC. Paul Kim, a recent South Lakes High School graduate, died earlier this week following complications from surgery. 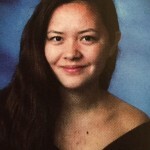 Kim, 20, graduated from SLHS in 2014 and was a second-year student at the University of Virginia. 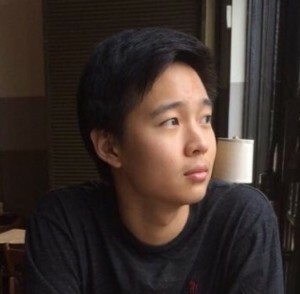 I am very sorry to inform you of the death of second-year student Paul Kim, who died yesterday, January 12, at his home in Reston, Virginia, due to apparent complications following surgery. Paul transferred to UVA this year after studying his first year at Christopher Newport University. He lived in Weedon House, was active in the Johnson Malone Weedon Community Council, and was involved with Chi Alpha, the Christian fraternal organization. His friends have noted his love of music, especially hip-hop. Paul’s academic and career interests included economics, finance, and international business. He had hoped to be admitted to the McIntire School of Commerce. Another of his goals was to study Korean so he could communicate fluently in his family’s native language. He had planned to visit family members in Korea and become more familiar with his cultural heritage. A memorial service will be held at 10 a.m. Saturday at Adams-Green Funeral Home, 721 Elden St., Herndon. Services will be held later this week for Michelle Buck, the South Lakes High School 2014 grad who was killed when she was struck by a car last week. Buck, a sophomore at Ursinus College in Collegeville, Pa., was crossing a street in Collegeville Thursday when she was hit by the driver of a Nissan Murano. Police are still investigating the accident. Services are at St. Timothy’s Episcopal Church, 432 Van Buren St. in Herndon on Wednesday. 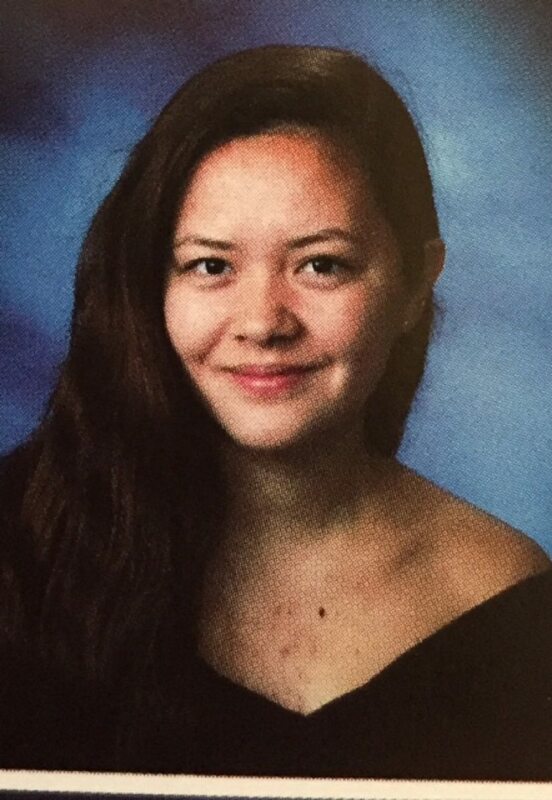 There will be a viewing from 3 to 4 p.m. Funeral services are from 4 to 5 p.m. A reception begins at 5 p.m.
Buck, from the Fox Mill area of Herndon, had recently declared her intention to double major in philosophy and neuroscience, the college said. At South Lakes, she was an accomplished violinist, and she continued playing with a strings group at Ursinus. 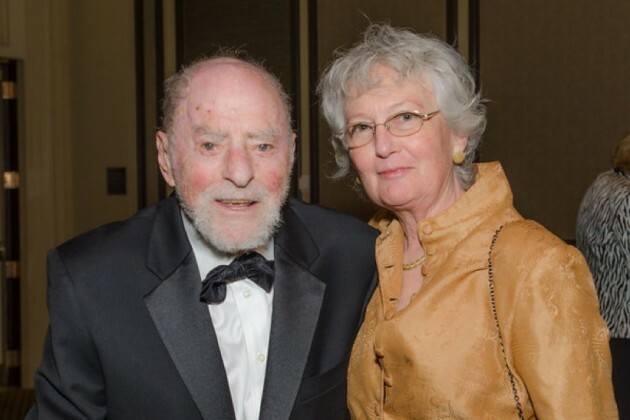 Reston founder Robert E. Simon Jr., whose idea of a “new town” community in the Virginia countryside evolved into one of the Washington area’s premier residential and business centers, died peacefully at his home in Reston Monday. He was 101. Simon was an active figure in Reston even as he passed the century mark in the spring of 2014. He could be seen taking a daily walk around Lake Anne Plaza and attending various Reston community meetings and social events. He said the secret to his longevity was a daily nap and a daily gin martini. Robert E. Simon was born April 10, 1914 in New York City, the youngest of four children and the only boy. He attended Horace Mann School in Manhattan and in Riverdale, N.Y. and later Harvard University. He served in World War II, attending officer’s candidate school, learning to strip jeeps and procuring recreational equipment for army bases. He spent time in Paris and Belgium during his service. 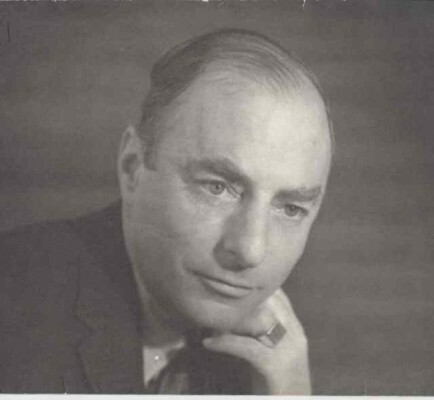 After the death of this father in the 1930s, Simon joined the family real estate business, which counted Carnegie Hall among its New York holdings. With $12.8 million in proceeds of that sale, Simon purchased 6,750 acres of farmland in Western Fairfax County in 1961. What was eventually built was Reston, drawing from Simon’s initials, RES. That the widest choice of opportunities be made available for the full use of leisure time. This means that the New Town should provide a wide range of cultural and recreational facilities as well as an environment for privacy. That it be possible for anyone to remain in a single neighborhood throughout his life, uprooting being neither inevitable nor always desirable. By providing the fullest range of housing styles and prices — from high-rise efficiencies to six-bedroom townhouses and detached houses — housing needs can be met at a variety of income levels and at different stages of family life. This kind of mixture permits residents to remain rooted in the community if they so choose — as their particular housing needs change. 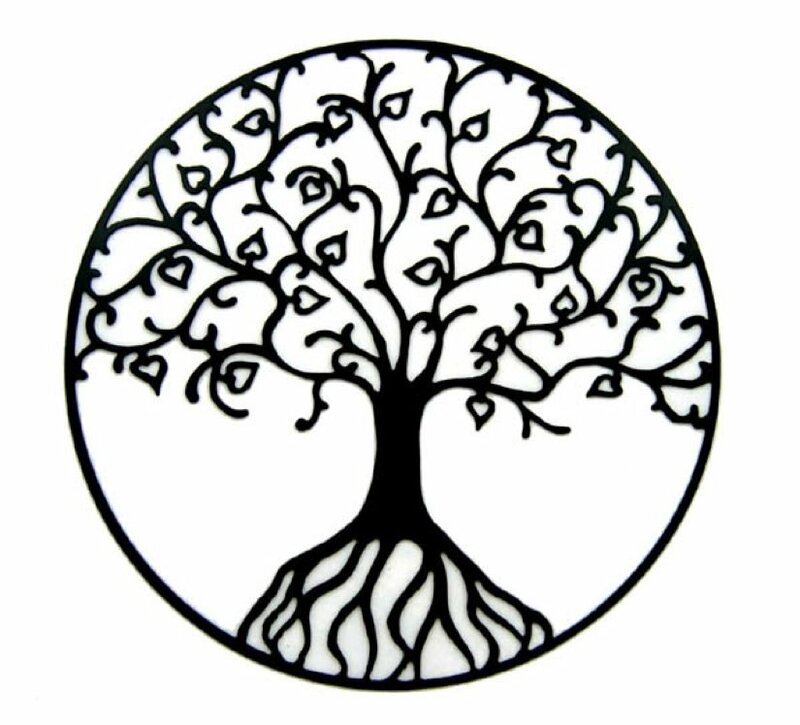 As a by-product, this also results in the heterogeneity that spells a lively and varied community. That the importance and dignity of each individual be the focal point for all planning, and take precedence for large-scale concepts. That the people be able to live and work in the same community. That commercial, cultural and recreational facilities be made available to the residents from the outset of the development — not years later. That beauty — structural and natural — is a necessity of the good life and should be fostered. Since Reston is being developed from private enterprise, in order to be completed as conceived it must also, of course, be a financial success. By 1964, Simon’s vision of an Italian style piazza with Scandinavian style design took shape at Lake Anne Village Center. Soon after, single-family homes near Hunters Woods Village Center were for sale. 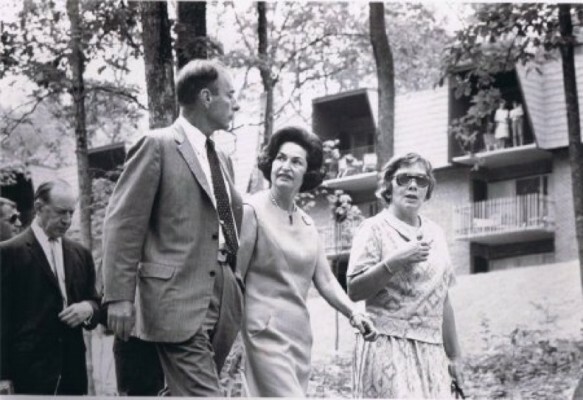 Families with the pioneer spirit – after all, the future Reston Parkway was still an unpaved road — moved into the new homes. Simon’s vision of an inclusive place — in the American South no less — was radical for its time. “In 1964, when Reston opened, discrimination was rampant and legal,” Sen. Tim Kaine said at Simon’s 100th birthday celebration. “It wasn’t until 1968 that the federal Fair Housing Act was passed. It wasn’t until 1971 that the Virginia General Assembly passed the South’s first fair housing law. Bob [Simon] was a real visionary. The contemporary designs and innovative vision were not an easy sell for some Northern Virginia homebuyers, though. Eventually, the project ran into financial trouble. Gulf Oil took over the Reston project and by 1967, Simon was out of a job and returned to New York. “A Gulf consultant took one look at my desk and my chair and said ‘we are going to want to see you hanging by your fingernails,’ ” Simon recalled. In 1980, Gulf sold the rest of the undeveloped land to Mobil and the plans for Simon’s ultimate vision — the Reston Town Center — could get underway. Reston — and its likeminded cousin in Columbia, Md. — is now well-documented in the history of suburban planning. The “lifestyle center” mixed use design originally seen at Lake Anne Village Center and seen again at Reston Town Center, opened in 1990, have been emulated by similar suburban shopping centers nationwide. 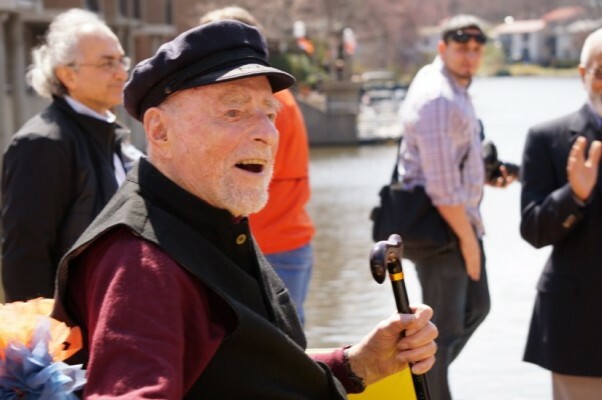 Simon moved back to Reston in 1993, living his remaining years in a condo at Heron House overlooking his Lake Anne. He met his wife, Cheryl, during an elevator ride at the high rise. Of all the places that grew in Reston, he said his favorite place was his bed, 13 stories up at Heron House. 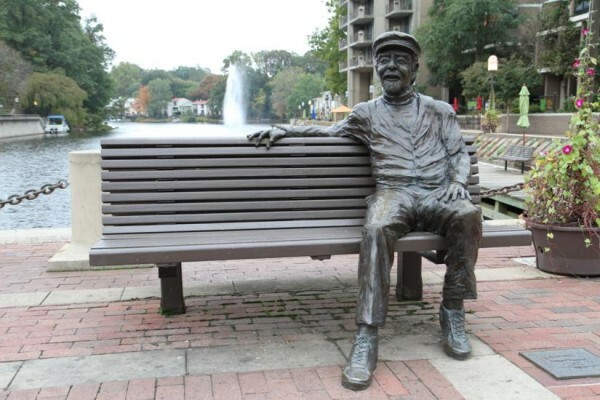 In 2004, a bronze statue of Simon — dubbed “Bronze Bob” — was installed on a bench on Lake Anne Plaza. Even as he neared and passed 100, Simon continued to travel, finding inspiration in European towns. Closer to home, he often pointed out the ways Reston succeeded in maintaining his vision but also veered off course. He disliked New Dominion Parkway, the Reston Town Center street that “cuts off the Town Center like the Great Wall of China,” he said. He also said Lake Anne Village Center was the only shopping area that stuck with his original idea. The rest were “all just shopping centers,” said Simon. 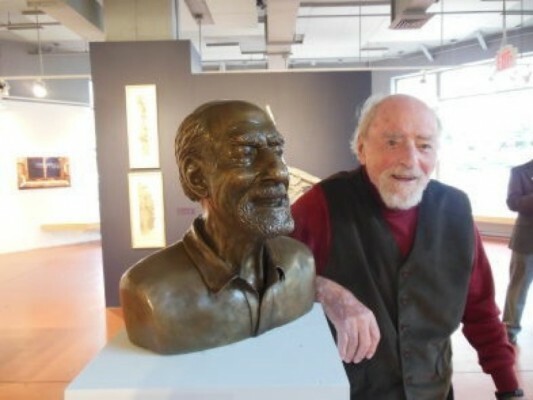 He was a fan of Reston commitment to public art. In recent years, Simon advocated for building an expensive indoor tennis facility, even if Reston Association had to borrow the money, and for returning the village centers built like regular shopping centers (North Point, South Lakes, Tall Oaks, Hunters Woods) to the original mixed-use plan. He hoped that Reston would someday build a 600-seat performing arts center. Simon was an advocate of higher density — “density is community,” he would often say. Taller buildings with more people left room for parks and community gathering spots in between, he said. 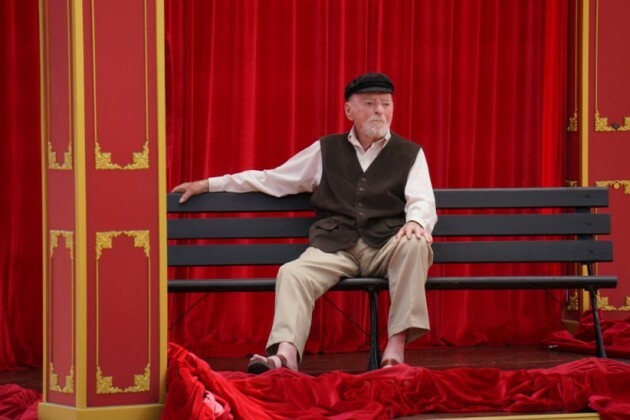 Even in his later years, Simon was frequently out on the town several times a week at benefits, community meetings, social events and galas. He was the honorary co-chair of the 2013 and 2014 Best of Reston Galas. Before he became ill several weeks ago, he could be seen taking a daily exercise walk around Lake Anne Plaza. He traveled as recently as May. Simon was married four times. He had a son and daughter from his first marriage. Lake Anne is named for his second wife, Anne. He is survived by his current wife, Cheryl Terio Simon, as well as his daughter and several stepchildren. Mary Ellen Craig, a retired attorney and former Reston Association president, died on June 12, surrounded by her family. Her death was caused by Alzheimer’s disease, which she had been battling with her characteristic grace and courage for the prior four years., her family said. Despite the ravages of the disease, Mary Ellen never lost her humor, compassion, and good cheer. She was born in Indianapolis, IN, on March 4, 1939 and was raised by her mother Kathryn Smith and her extended family while her father Howard Craig served as a World War II paratrooper in the South Pacific. Mary Ellen went to Purdue on a full-ride academic scholarship to study nutrition and home economics and, upon graduation, enrolled in one of the first Peace Corps classes, spending two years in Chile and making friends and gaining life experiences that she’d reflect fondly on for the rest of her life. Mary Ellen earned a Master’s degree from Columbia University and served as Dean of Women at Denison University before marrying Charles Alan Kase and raising her two children. 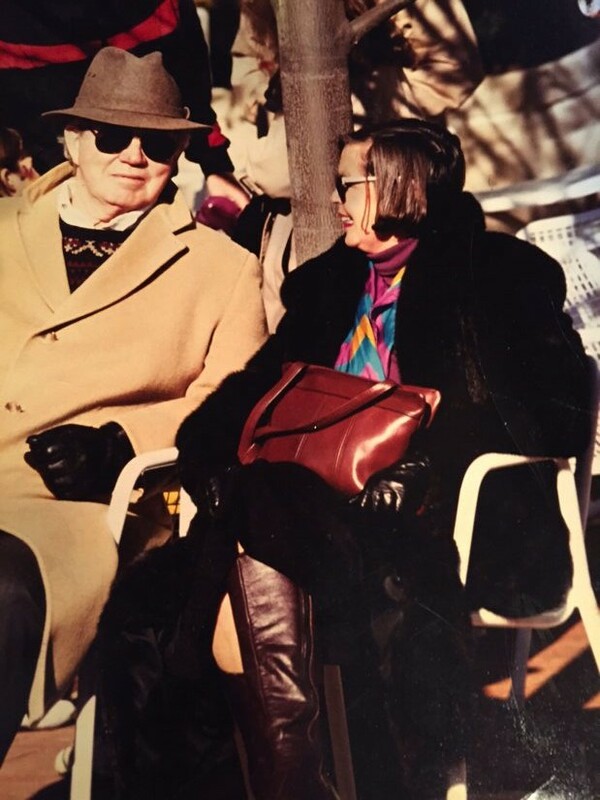 Once her youngest child was enrolled in full-time elementary school, Mary Ellen jumped back into her professional life, earning a Law Degree from American University and serving and an intern for the Honorable Frank Q. Nebeker on the DC Superior Court before going into private practice in 1980. Mary Ellen established a partnership with Susan Norwitch that she later developed into the Craig, Hirsch and Ellenberger LLP practice that she retired from in 2006. Mary Ellen lived in Reston, Virginia from 1971 through 2014 and deeply loved the town. She served Reston as President of the Forest Edge PTA and President of the Reston Association (2000-01) and as an ombudsman for Fairfax County and was active in many other church and community groups. Mary Ellen left behind two children, Marc Kase and Stephanie Zucker; three grandchildren, Nathan, Katie and Bella Zucker; and her sister Tara Rinker. Mary Ellen loved to travel and all of her children and grandchildren and most of her relatives and friends can share wonderful stories of traveling the world with her. She also left behind a cat named Jazzie that loved only her, closets full of stylish and quirky outfits, and walls full of art from the Greater Reston Arts Center. Mary Ellen was a wonderful parent, sister, daughter, aunt, niece, friend, role model and companion to all of us and will be sorely missed. There will be a VA memorial service will be held at the Walker Nature Education Center, 1145 Glade Dr., on July 5 at 2 p.m. She will be buried at her family’s burial plot at the Franklin Greenlawn Cemetary in Frankin, IN on July 7 at 11:00 a.m. Boys to Men Mentoring Network 9587 Tropico Drive La Mesa, CA 91941 www.boystomen.org. Mountain Stewardship & Outdoor Leadership (SOL) School PO Box 18111 Morgantown, WV 26508 www.mountainsol.org. John Alciati, the former President and CEO of the Greater Reston Arts Center, died Tuesday after battling cancer. He was 65. A native of Syracuse, N.Y., Lawrence John Alciati Jr. was a longtime Reston resident who also had a home in Wellfleet, Mass. Alciati led GRACE from 2006 to 2012, but remained on GRACE’s Board of Directors. He also was active in the Initiative for Public Art Reston (IPAR). He and his wife Marianne were regulars at Reston’s charity, social and arts events. They also enjoyed extensive travel, and just last summer camped their way through Alaska and Western Canada. At his home on Cape Cod, Alciati worked as a docent at the Wellfleet Bay Wildlife Sanctuary of the Massachusetts Audubon Society. Alciati was a a graduate of Georgetown University and formerly was an executive at the American Institutes for Research in Washington, D.C.
A memorial service will be held on May 30 at 11 a.m. at St. Thomas a Becket Catholic Church, 1421 Wiehle Ave. in Reston. Friends may offer condolences on the online guest book at Adams Green Funeral Home’s website. A memorial service for Reston developer Bill Lauer will be held at 11:30 a.m. on Friday, May 15 at St. Mark’s Catholic Church, 9970 Vale Rd, in Vienna. Lauer, founder and CEO of Reston-based Tetra Partners, died unexpectedly last week. 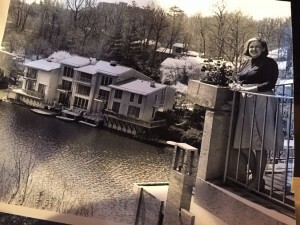 Lauer had played an important role in Reston development since the 1960s, working with two homebuilding companies and for Gulf Reston in the 1960s and 70s as Reston developed as a New Town. Lauer was also active in many professional organizations and charities, including the Lions Club, Joe Gibbs Youth for Tomorrow, Ronald McDonald House, Habitat for Humanity, Alternative House, Home Aid, Cornerstones and Devotion to Children. Instead of flowers, Lauer’s family requests donations be made in his memory to Devotion to Children.